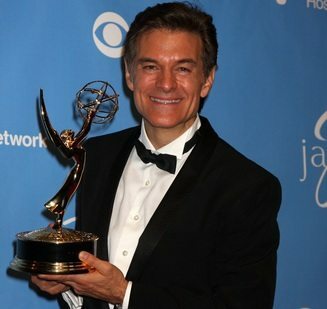 TV talk show host Dr. Mehmet Oz and Michelle Bouchard have developed a national nonprofit, HealthCorps, to help curb the childhood obesity problem in Sacramento, and hopefully across the country. The nonprofit is modeled after the Peace Corps and “consists of young adults—future doctors and public health workers—who will work with schools to develop programs that fit the community,” the Sacramento Bee reports. With a budget of $8 million, HealthCorps is financed through corporate and individual donations. Programs focus on physical and mental health, nutritious diets and community development. The curriculum includes health education and activities such as starting a community garden and working out. According to school physical fitness tests, almost half of Sacramento County’s fifth-, seventh- and ninth-graders weigh more than is considered healthy. Approximately 28 percent of students in those young grades have body compositions putting them at “high risk” for future health problems. The issues that have been identified in Sacramento are not far off from what is happening nationwide. According to a study in the journal Health Affairs, the cost of U.S. hospitalizations related to childhood obesity rose from $125.9 million in 2001 to almost $237.6 million four years later. Saras Chung is a PhD Candidate in Social Work at WashU. She promotes strategies in education for healthy and engaged youth.